Once a dreaded chore, setting the table would top my to-do list with chinoiserie inspired napkins and whimsical placemats. 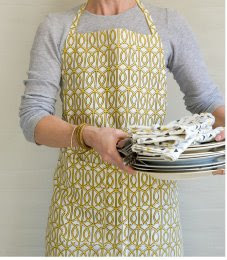 A matching apron increases the smile-inducing style of these prints. 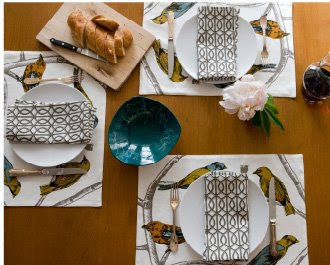 The placemats with the birds are awesome! The matching apron is so charming..Such a good idea! I want one! Oh my goodness. Adore the apron! These place mats are so beautiful. Just lovely. love the apron! so cute!